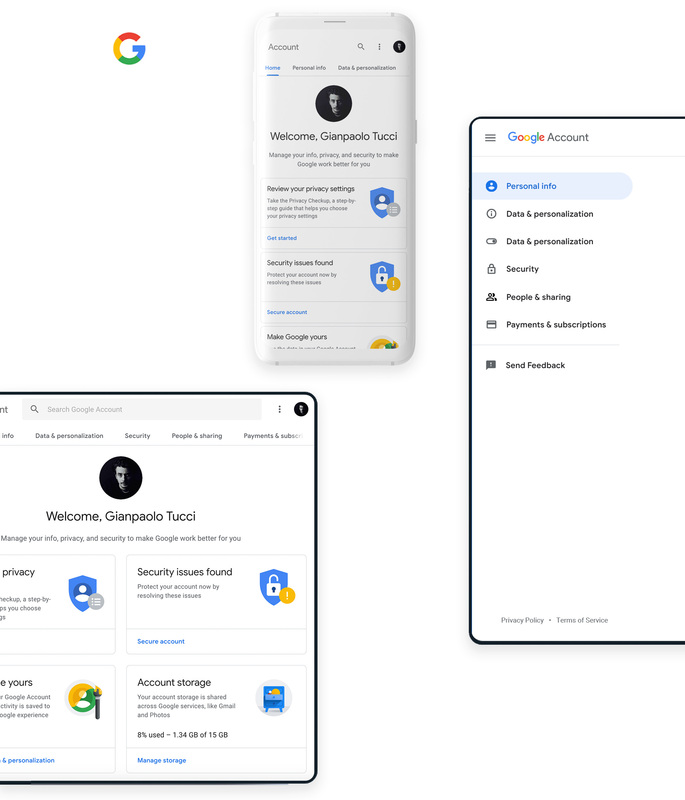 ReShaping and ReDefining the new Google Account experience from concept vision towards implementation on Web & Web Mobile. 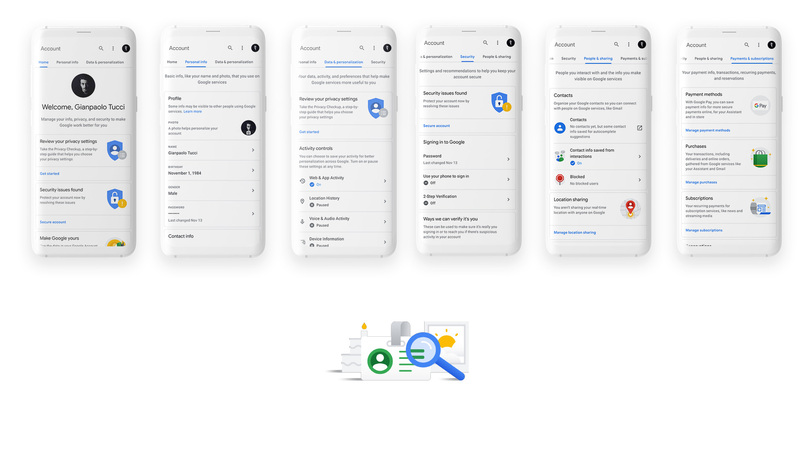 Google account includes new features to more easily navigate your account, more prominent security and privacy options, and detailed summaries of relevant information associated with it — like your personal info, your devices, payment methods, purchases, subscriptions, reservations, and contacts. Billions of people have now visited their Google Account and over 20 million people do so every day. 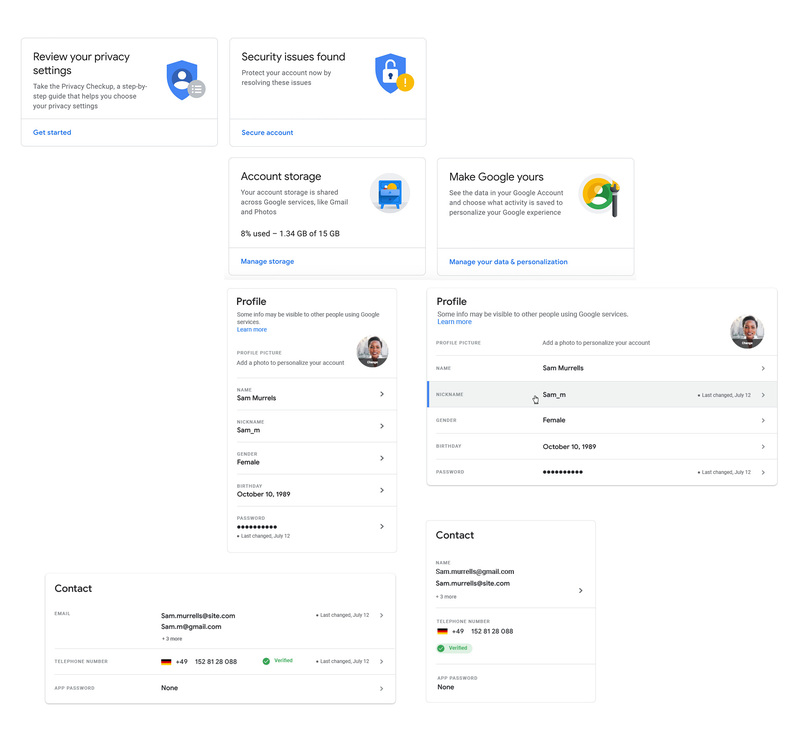 Modular and scalable design system, defining and integrating the new web patterns and visuals for Google Material Design 2. 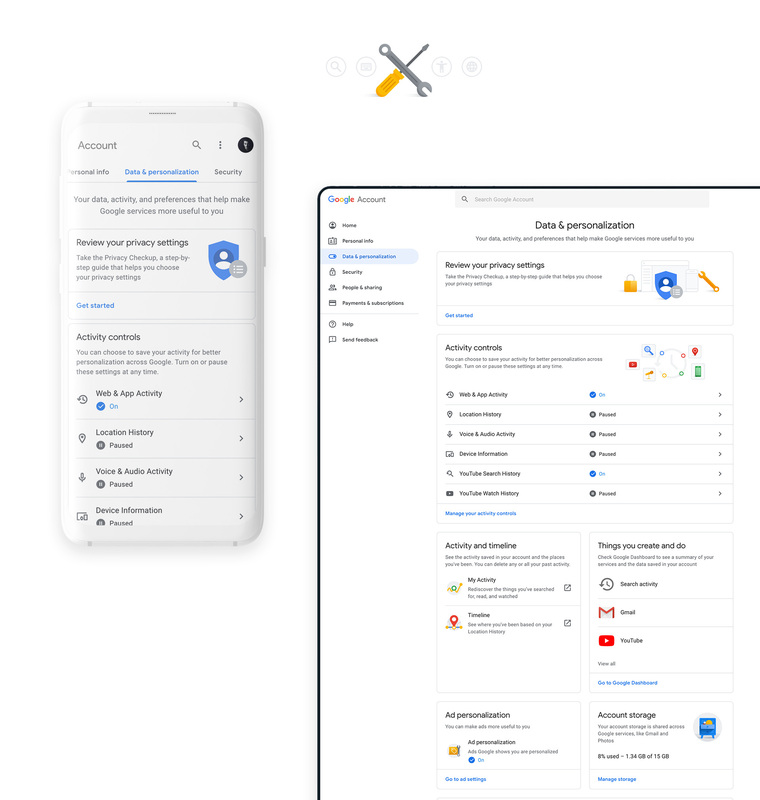 Easily manage your data across all Google products. 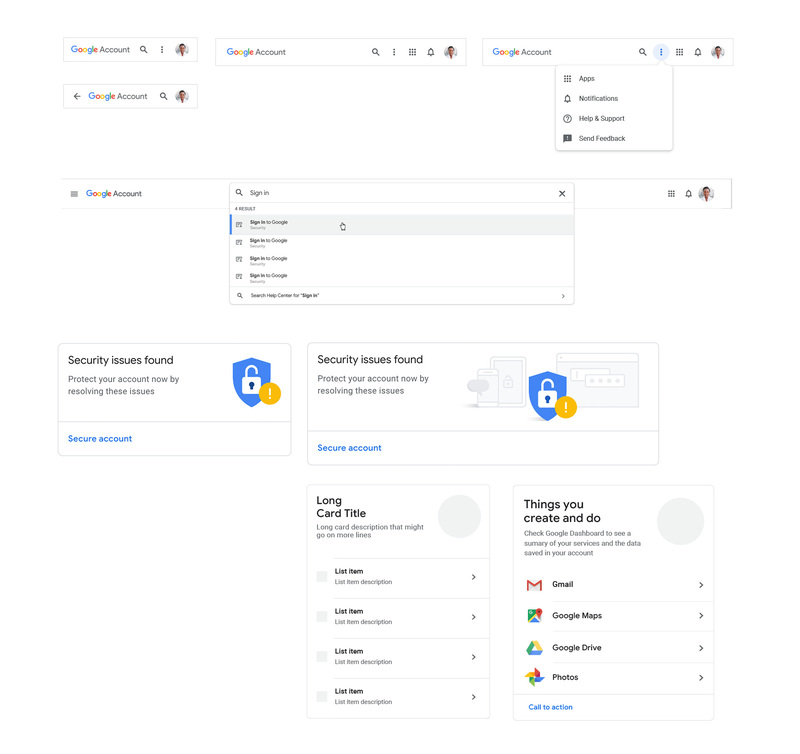 ad hoc design system with scalable components to fit all targeted screens - Google bar, Cards wide and narrow and illustations.